For more information, you may visit our official website at www.novuhair.com. 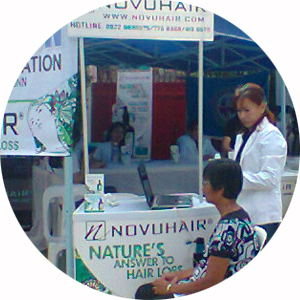 You may also visit our Facebook Fan Page at http://www.facebook.com/pages/Novuhair-Official/190833864316445?ref=hl or follow us on twitter @NovuhairUpdates. You may also contact our hotlines from 8:30AM-5:30PM from Monday-Friday at 413.6570 and 0922.883.0575.